Thanks to the Open Campus program, Penn Manor senior Emily Hess is able to take five classes instead of the normal four allowed in a block format. 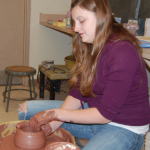 She is able to pursue her interest in ceramics and also hold down a part time job while keeping up with her schoolwork. Emily enrolled in the three Open Campus courses: Honors Government and Economics, Honors English 12 and College Prep Physics. She takes College Prep Statistics and Independent Study Ceramics at Penn Manor High School. Staying in touch through frequent emails has helped Emily feel connected to her virtual teachers although she wishes that the classes could meet in person once a month. Emily is glad she signed up for these new online courses. Emily acknowledges that this type of learning isn’t for everyone. 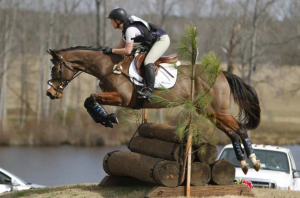 Pictured is Tori and her horse, Avi, competing at an event in Georgia in February 2013.